Mark from Bath said " we could not fault the experience and the welcome we received." Chris from Yorkshire said "Wonderful hosts, idyllic location, very comfortable beds, excellent breakfast"
John & Donna from Cambridge said " a most enjoyable and comfortable 2nd visit - looking forward very much to the 3rd!" Jill & Garrie from Derbyshire said "Thank you once again (our 4th visit) for a lovely relaxing oasis. The breakfasts were a huge treat - as was the wonderful fresh mint tea!" Jean & Bob from Brighton said "Granola to die for and grateful thanks to the chickens for the eggs." June & Hugh from Oxfordshire said "A lovely 2 nights stay in very comfortable surroundings. Very welcoming hosts and fantastic breakfast!" Ken from Burnham on Crouch said "Comfortable bed, delicious breakfasts and tranquility, just what I needed." Melissa & Adam said "Back for our second visit, and nothing has changed - lovely as ever! Tony & Christine from Norwich said "Wow! !, Spot On"
Posy & Mike from Devon said "Thank you both so much for your very warm welcome last week. We had a lovely trip altogether (what weather! )and its success was due in no small part to you and your delightful accommodation"
George & Julia from Essex said "Thick fluffy towels, beautiful room, warm welcome, quiet and peaceful. Just what we wanted from a B & B"
Donna & John from Cambridge said "Full of character, wonderful hosts, breakfast was a feast and we'll definitely stay again"
Sam & Lucy from Nottingham said "This has been just what the Doctor ordered"
Richard & Katy from Surrey said "A top notch B & B which we cannot speak too highly of, for value and quality"
Rebecca & Mark from Norfolk said "very relaxing stay in a lovely room - wiith an absolutely amazing breakfast"
Miles & Kata from London said "Another splendid stay (their 5th!) Call us addicts, but we love it here and will keep coming back!". Kirsty & Antony said "Oh my goodness what an amazing breakfast! A truly lovely room & welcome - thank you so much for helping us out in the evening too....but Oh my, what a breakfast! Kate & Phil said "We're so pleased we picked The Granary for our Wedding Night. The perfect end to a perfect day. Strawberries and chocolate were a dream!! Tim & Jackie from Hull said "This is our fourth time staying since April 2010. Absolutely spot on every time, couldn't wish for a nicer place to come to in lovely Suffolk. All the better for having great breakfasts". Gavin & Helen from Suffolk said "What a completely wonderful end to our perfect wedding day"
Ruth & John from Suffolk "The most beautiful place to spend our wedding night. We can not thank you enough for making it special. Breakfast was a real treat too"
Heike & Andreas from Germany said "Danke fur alles ils seind wunderbar." 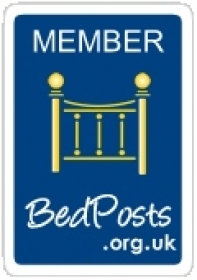 Rick, Helen & Kyle from Chagrin Falls, Ohio, USA said " What a wonderful bed and breakfast! Such comfy beds, warm, welcoming and an amazing breakfast. A treat!" :Rick & Jan from Pennsylvania said "The Granary was a perfect respite for our nostalgia tour of East Anglia"
Karen & Garth from Christchurch, New Zealand said "Pity we couldn't stay longer Lovely spot. Thank you very much." Cyndy & John from NYC. "What a Christmas present! Deliciously warm and cosy. Thanks ever so for taking us in during the holiday"
Colin & Cathy from Edinburgh said "On the finer side of fine - in fact quite excellent and brekkie was beyond excellent! Jim & Anne also from Scotland said "A very kind and generous welcome and a relaxing environment. Thank you for catering to our needs"
Tom & Ashley (Vancouver, Canada) said "Brilliant getaway for a great price - we love the fantastic accommodation and homeliness of it all. Wonderfully quiet & comfortable. Will definitely come again.